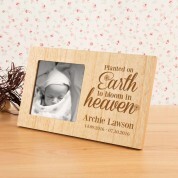 A special way to remember a lost baby or child. 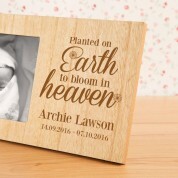 Our wooden memorial frame features a typographic design which reads “Planted on earth to bloom in heaven” in a scripted font. It is followed by the child's full name and special dates below. The delicate design is made complete with pretty flowers, blooming from the text. 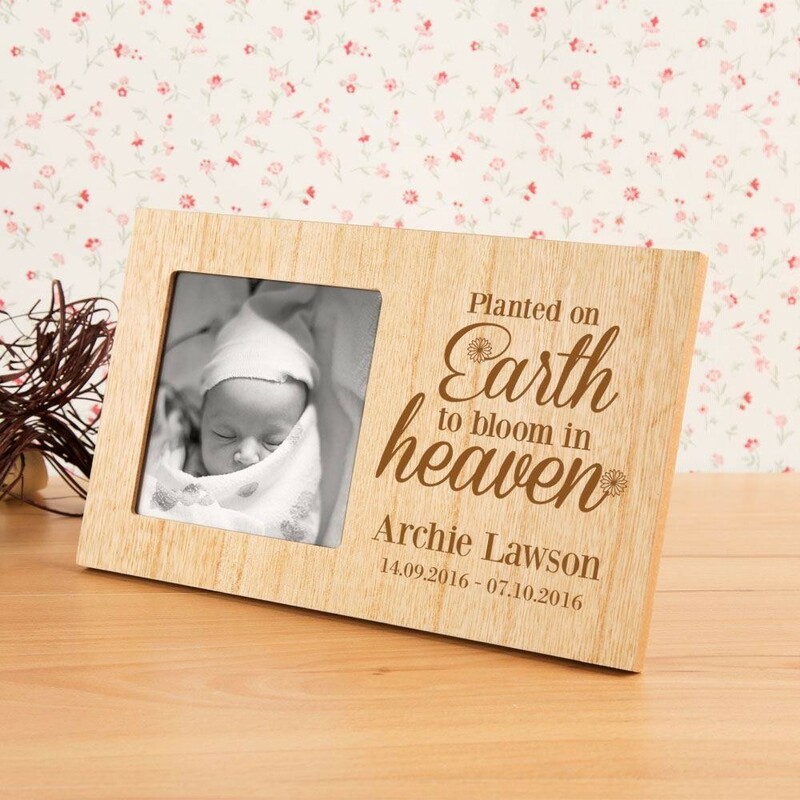 This photo frame makes a special addition to the home, or a precious keepsake for a friend or family member who has recently lost a baby or child. It may also be suitable for a memorial service. Display a photo of them to remember them every day. Our professionals work in house to carefully engrave onto the wood for unique results every time. The frame features a small square photo window.